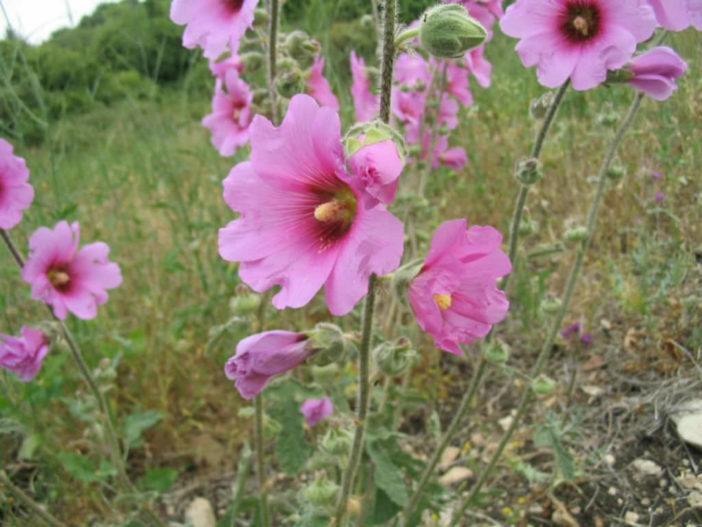 Alcea setosa is an ornamental plant up to 6.7 feet (2 m) tall. The leaves are carried on a long petiole. The blade is emarginate with a diameter of up to 8 inches (20 cm). The leaf margin is smooth or dentate. As spring nears, a tall inflorescence stalk grows, which can reach up to 10 feet (3 m) tall. 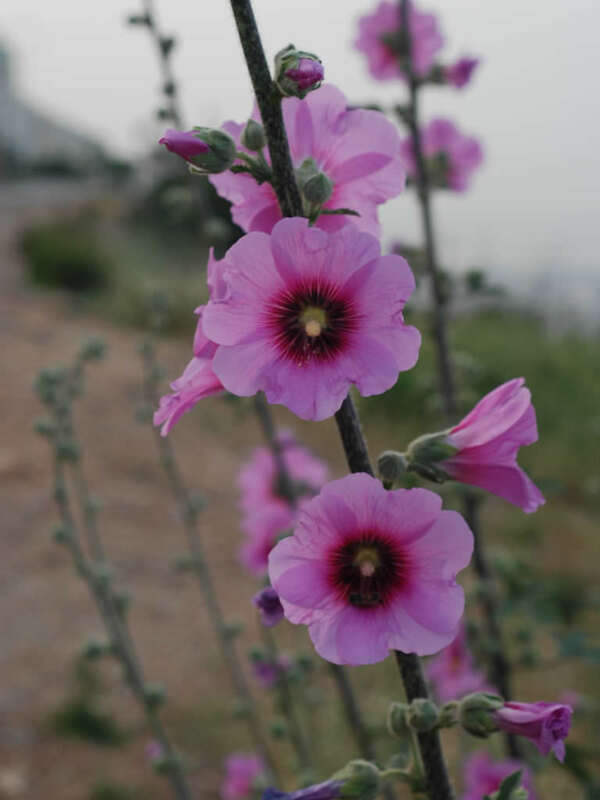 The stalk is lignified, with alternate, sessile leaves along it, with pink flowers in their axil. The leaves, the inflorescence stalk and the fruits are characterized by bristly hairs on their surfaces. 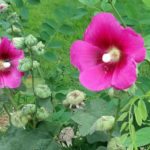 Once you have planted your Hollyhocks, they will need minimal care, but there are a few things you should be aware of when growing Hollyhocks. 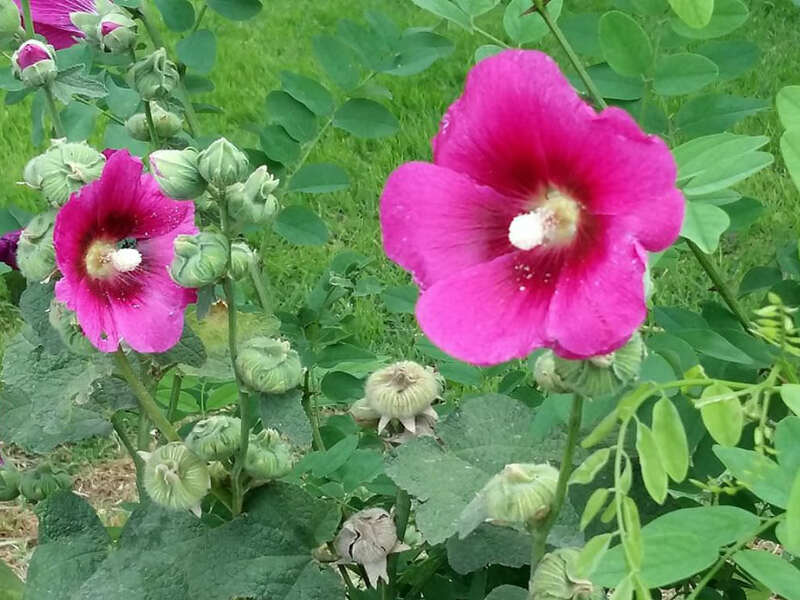 First of all, Hollyhocks are a short lived perennial. 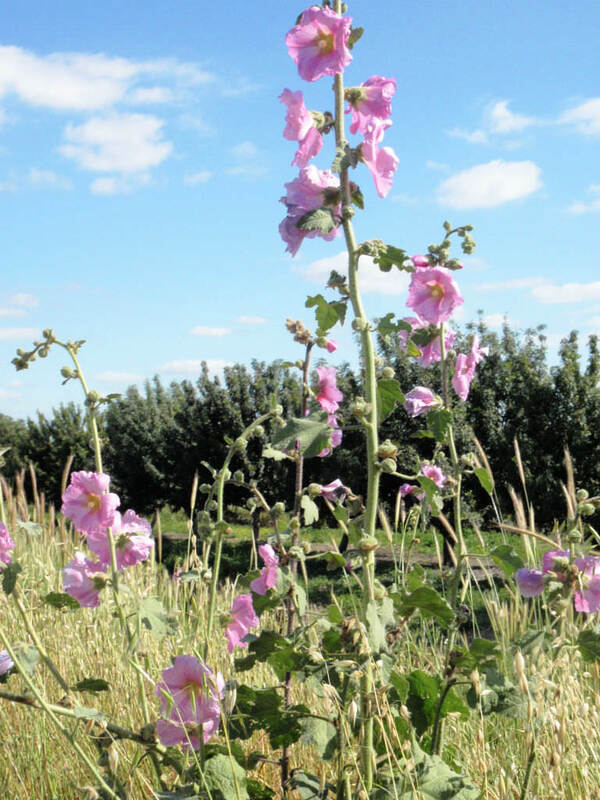 This means that most varieties will only live 2 to 3 years. 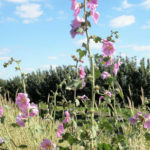 Their lifespan can be extended some by removing growing Hollyhock flowers as soon as they fade. If you live in a non-tropical region, cutting them back to the ground and mulching them will also help. 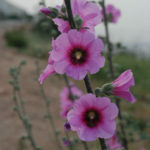 Native to the Levant, ranging from Crete and Turkey to Israel and Jordan.